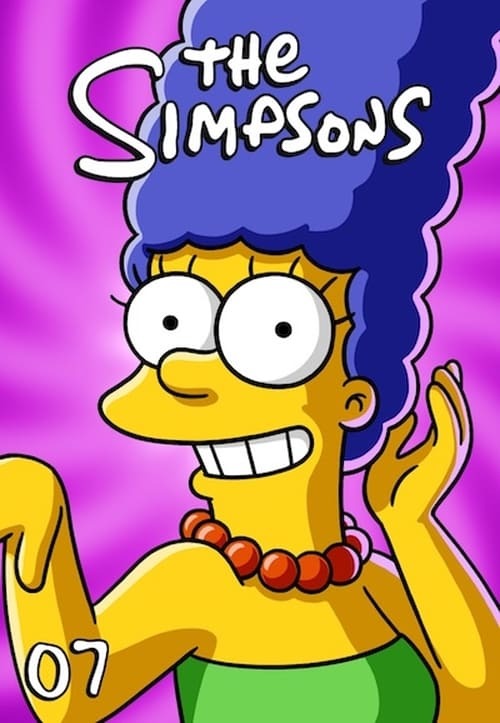 The Simpsons' seventh season originally aired on the Fox network between September 17, 1995 and May 19, 1996. The show runners for the seventh production season were Bill Oakley and Josh Weinstein who would executive produce 21 episodes this season. David Mirkin executive produced the remaining four, including two hold overs that were produced for the previous season. The season was nominated for two Primetime Emmy Awards, including Outstanding Animated Program and won an Annie Award for Best Animated Television Program. The DVD box set was released in Region 1 December 13, 2005, Region 2 January 30, 2006 and Region 4 on March 22, 2006. The set was released in two different forms: a Marge-shaped box and also a standard rectangular-shaped box in which the theme is a movie premiere. The Simpsons Season 7 Episode 22 : Raging Abe Simpson and His Grumbling Grandson in "The Curse of the Flying Hellfish"
©2019 Mega Series - All rights reserved.